Have you ever wondered how the almighty United States of America came to be and who pioneered this movement? Wonder no more as this article will be sure to enlighten you. The name Alexander Hamilton is one that cannot be erased from the history of the great country due to his role in the foundation of the world’s most powerful nation. Hamilton is regarded as one of the founding fathers of America which means he was among the few men who led the American Revolution in mid-1700 when America revolted and fought in a war against their former colonial master, Great Britain. Aside from Hamilton, there were other key philosophers, politicians, and writers who masterminded and fronted the revolution. Some of these great men include John Adams, Benjamin Franklin, John Jay, Thomas Jefferson, James Madison, and George Washington. 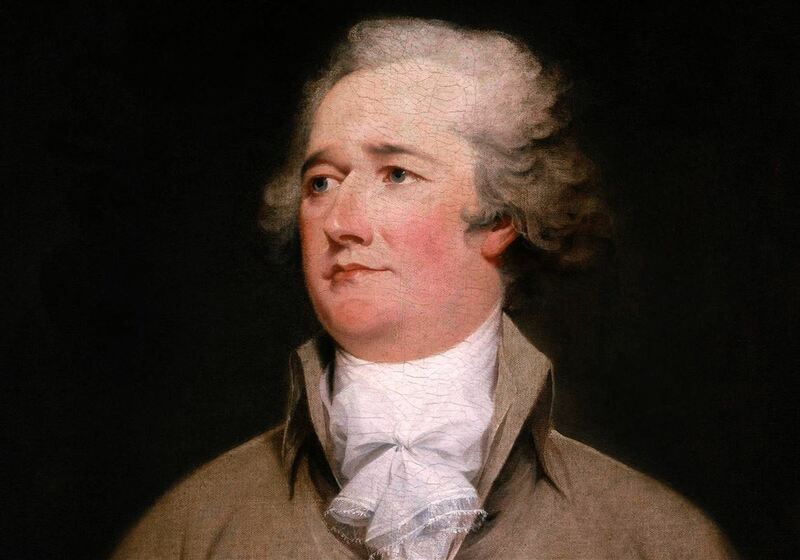 In addition to being a founding father, Alexander Hamilton is also an interpreter of the American constitution. He has also been credited with some other achievements such as being the founder of the Federalist Party, the United States Coast Guard, America’s financial system and one of the oldest newspapers in America, the New York Post – which is almost as old as America itself. Was He Really Bisexual Or Gay? Alexander Hamilton was bisexual. This conclusion was reached because Alexander had romantic relationships with both male and female acquaintances. In 1779, while working as an aide to General Washington, he had a romantic relationship with a fellow soldier, John Laurens. Letters on which Alexander professed his love to John were later found among Alexander’s possessions. At this time, there were no LGBT rights and being gay or bisexual was regarded as a taboo punishable in all 13 colonies. Hence, Alexander’s relationship with John Laurens was clandestine. Alexander Hamilton’s birth year has been a matter of controversy over the years. It is not clear if he was born in 1755 or 1757. The reason for this is that most of his historical evidence and writings suggest that he was born in 1757. This was accepted as his age until in 1930 when a document about his early days originally written in Danish was discovered. The facts on that paper pointed to Alexander Hamilton as being born in 1755. However, his birth date is recorded as 12th January, a day in history when the patriot celebrated his birthday. To be born out of wedlock means to be born to parents that are not married and even though it may not be a big deal now, it was in the 1750s and stands out in the profile of Alexander Hamilton. He was born to a married woman named Rachel Faucette, of British and French descent and James Hamilton, a Scotsman. She was first married to a Danish or German merchant, who went by the name of Michael Lavien. Rachel ran away from her husband, this was when she met Alexander’s father. They never got married but had two children. Much is not known about Alexander’s elder brother but it is a common fact that he was named after their father – James. Both of them were left alone when their mother died and was briefly taken in by a cousin. In 1769, when this cousin committed suicide, the young Hamiltons were separated as James chose to become an apprentice for a local carpenter while Alexander moved into a foster home in Nevis. Rachael Faucette fled from her husband, Michael Lavien after she had a son for him. She went on to have two other sons for a man named James Hamilton. However, this time, the table turned and James had to leave her so that she would not suffer from punishment meted on one practising bigamy. Rachael was forced to cater for her sons alone but couldn’t complete that task as she passed away in 1769 from yellow fever. After her death, the house which she lived in was taken by her husband, Michael, along with most of the belongings, leaving Alexander and his brother with nothing. After his mother’s death, Hamilton went to live with one of his cousin’s. However, his cousin passed away soon afterwards and in the years that followed, he was adopted by a wealthy merchant, Thomas Stevens. Stevens trained Alexander on trade and in 1771, Alexander was managing a firm for his foster father, while he was at sea. He and Thomas lived in Nevis. 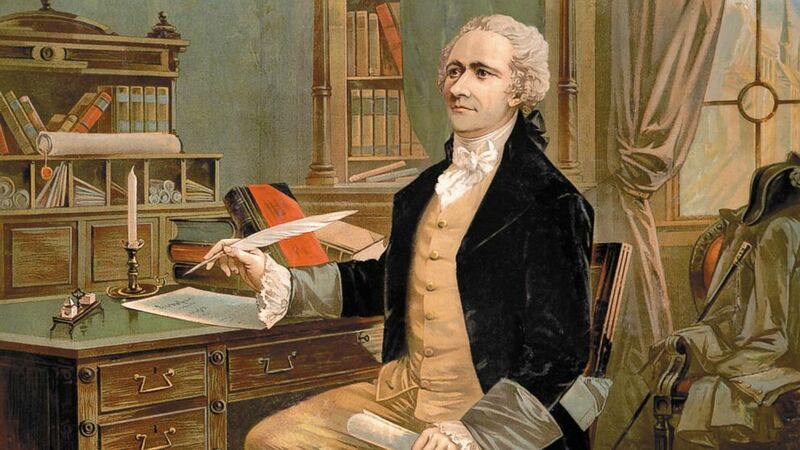 Alexander Hamilton became a prolific writer after a few years of studying by himself. There are no records that show that he learned how to read and write from a formal school, rather, he was self-taught. He began reading a lot of books in his teens and also wrote well. He once wrote a letter to his biological father, describing a hurricane. His writing skills would later thrill his community leaders. This led them to raise funds for his education at the North American colonies. Alexander was sent to be formally educated at the North American colonies. However, he could not be admitted into a church school as the Church of England denied him membership and therefore admission into their schools. Faced with this situation, he began attending classes at a private school and was taught by a Jewish headmistress. The name of the school is unknown. He also supplemented his classes with a library of 34 books. Also, while preparing for college, he attended the preparatory school, Elizabethtown Academy. He later gained admission into King’s College where he was a bold and outstanding public speaker and writer. During the time of the American Revolutionary War, Alexander Hamilton joined the militia company with several other boys from his college. They first began drilling with the company and later went for raiding. The name of his company at the time was Corsicans but was later changed to Heart of Oaks. He learned military tactics, as well as its history on his own and led victorious raiding. Soon, he was up for promotion and rose to the rank of captain. George Washington was a commander in chief and general of the colonial armies and later became the first president of the United States of America. While Washington was an army general, he sent a request to Alexander Hamilton to become his aide-de-camp. Surprisingly, Hamilton accepted. This came as a surprise as he had turned down about 3 similar offers from other generals. He worked tirelessly as Washington’s aide but later had a falling out with him that would lead to his retirement. In 1791, Alexander was involved in an affair with a married woman named Maria Reynold. According to Hamilton’s account, Maria came to his house in Philadelphia to ask him for assistance to go back to her family as she claimed that her husband had abandoned her. Alexander felt compassion and decided to help by giving her $30. While at her home, she invited him into her bedroom and that marked the beginning of their affair which lasted till 1797. Maria’s husband was aware of the relationship and instead of exposing them, he decided to blackmail Alexander Hamilton into giving him money. In his lifetime, Alexander was a congressman, lawyer, political aide, and popular military personnel. While in the military, he was involved in several battles and wars which include American Revolutionary War, Battle of Harlem Heights, Battle of White Plains, Battle of Trenton, Battle of Princeton, Battle of Brandywine, Battle of Germantown, Battle of Monmouth, Siege of Yorktown and Quasi-War. In the year 1780, Alexander tied the knot with his one and only wife, Elizabeth Schuyler. His wife was the daughter of a general and the exact date of their wedding is December 14. Elizabeth had eight children for Alexander, they are – Philip Hamilton, Angelica Hamilton. Alexander Hamilton Jr., James Alexander Hamilton, John Church Hamilton, William S. Hamilton, Eliza Hamilton Holly and Philip Hamilton (the second).